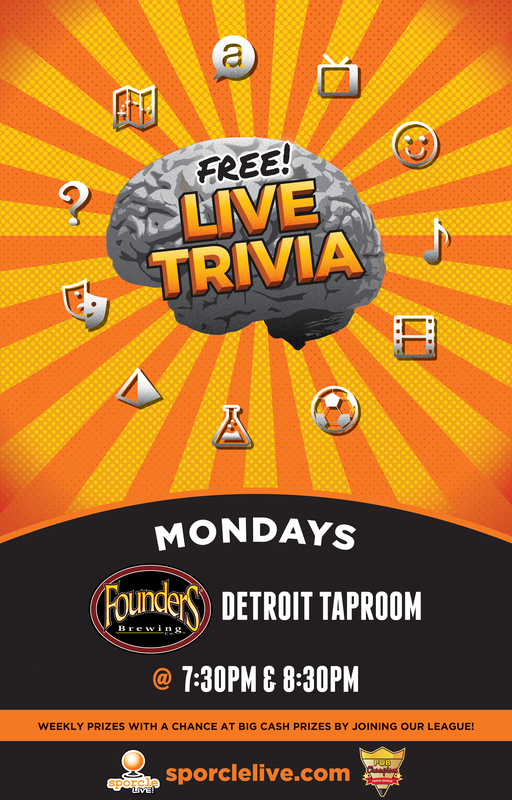 Sporcle Free Trivia - Founders Brewing Co.
Free live trivia with Sporcle! Come hang out with us in the Barrel Room and get your trivia on! Monday nights are now Trivia Night, so grab some friends to create your own trivia group or come alone and make new friends. We will be awarding 1st and 2nd place prizes. Best pub trivia in the world at a venue near you. FREE to play with nightly prizes! Over $25,000 awarded every season in our Pub Champions Trivia League!